The original Pixel and Pixel XL have fantastic camera capabilities. Not only does HDR+ make most still images look great, but both phones include Electronic Image Stabilization (EIS) to reduce shaky video. Despite being done entirely in software, the result is incredibly-smooth video that looks almost unreal. Unfortunately, this feature has one major flaw - panning. During video recording, tilting your Pixel while keeping it in place resulted in sudden jumps, when the software would realize that you are purposefully changing the angle and not simply shaking the camera. You can see it in action in this MKBHD video - notice the jumps when Marques changes the angle. This was nicknamed 'the Terminator effect' by some, because it looked like The Terminator's POV video feed when he was scanning objects in the films. The Pixel 2 and Pixel 2 XL don't have this problem, as you can see in the above video, thanks to a combination of both an Optical Image Stabilization module and a new "lookahead EIS algorithm." Google called this combination 'Fused Video Stabilization,' and many hoped that the software component would be back-ported to the original Pixels. 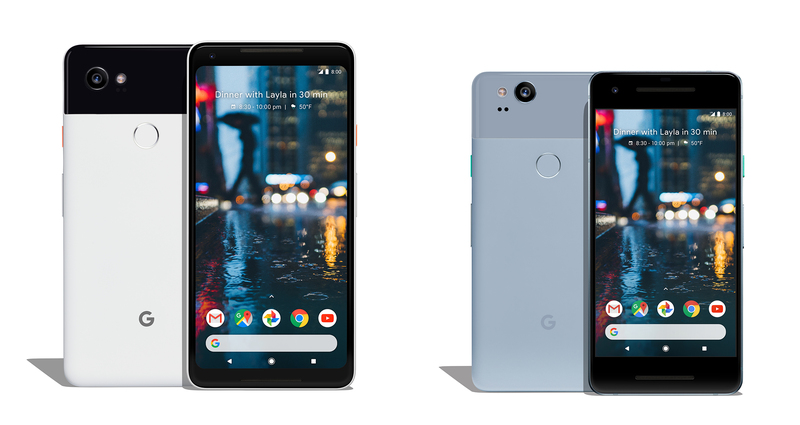 Obviously the hardware module would be exclusive to the Pixel 2, but perhaps the digital improvements could arrive as a Google Camera update. Fused Video Stabilization, which includes the lookahead EIS algorithm that smooths out panning motion, is exclusively for Pixel 2. So there you have it, Pixel owners - your stabilized videos will keep looking like a robot's camera feed. At least you'll get to try out Google Lens alongside Pixel 2 owners whenever that launches.